What are some community problems that concern you? If your choices include broad issues like health or environment, you may want to narrow it down to specific parts of the problem (e.g., cancer or clean water). Over 65% of all volunteers who volunteer do so because they were asked.  Organisations submit immediate needs to South Dublin County Volunteer Centre. Review their needs and get some ideas of the possibilities. Check out the online database. Are there skills that you have that you\’d like to use in a volunteer opportunity? One of the most important considerations you should think about before volunteering are your needs. What do you want to gain from volunteering? This answer varies from person to person and no answer is wrong. From a chance to make a difference to using a skill or talent; from gaining professional experience to expressing your religious faith; from a chance to meet new people to achieving personal growth; gaining a more balanced life to giving something back. There are lots of reasons people volunteer. Be aware of yours. If you are under 18 you will need to let the volunteer co-ordinator know your age; some agencies have set age limits for their volunteers. For many people the biggest barrier to volunteering is a busy schedule. However, most of us really can fit volunteering into our lives. There is no minimum time requirement – you can put in an hour a day, an hour a month, or an hour a year. Look for holes in your schedule or combine volunteering with other important activities like family time, or combine it with a hobby (e.g. photography, playing the piano, etc.). Remember to pick a convenient location – sticking with a volunteer opportunity will be hard if getting there is part of the problem. Remember that you should enjoy your volunteering experience. Pick something that you think will be fun, fulfilling and enjoyable.